As we know, music has a big part to play in the fantasy genre. Whether you like it or not, it is an extremely useful gimmick. For example, if you want to put a dragon to sleep or more ordinarily, to express your hidden dark yearnings in a fittingly heroic manner. To us mere fans, hopelessly marooned on the other side of the screen or page, all that remains is a rousing melody that we can hum under our noses whilst hunched over a wad of papers in the office. The more musically inclined might want to learn to play it ,more or less badly as was once my experience with the Lord of the Rings “Riders of Rohan” theme and a very old electric piano, trying to evoke the snow-ridden expanses of their favourite universe. And then if the show, and hence the song is successful, it will become iconic and live forever immortalized as perhaps a slightly annoying mobile phone ringtone that hardly does it justice. 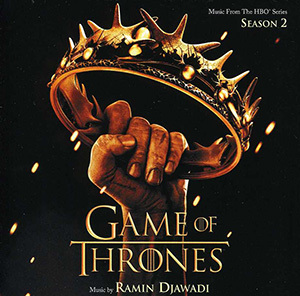 The main Game of Thrones theme is deliciously Celtic in character! I happen to associate it for some reason with the wild shores of the northernmost Scotland where, incidentally, during an otherwise ordinary holiday, I first came across the whole Westeros saga. The violin part, for some reason, seems to belong to 17th century, another era full of heroic happenings, rather than the Middle Ages. 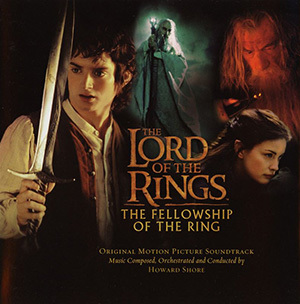 Perhaps a little less instantly recognizable (and less suitable for humming under one’s nose) than the Lord of the Rings theme music, it is nevertheless rich, sweeping, and gives you gorgeous goose bumps at the back of your neck, along with the desire to ride on horseback into a night blizzard alongside Ned Stark. Since it is a given fact that any truly excellent piece of art will inevitably attract imitation, here is an amusing and irreverent rendition of the Game of Thrones theme here. Unusual, to say the least! A question open for discussion: Which do you enjoy more? The Game of Thrones or The Lord of the Rings theme music? Hailing from the swirling mists of London, I am a freelance journalist in my free time, and a huge fan of J R Tolkien’s “Lord of the Rings,” as well as an admirer of the “Game of Thrones,” a worshipper of H P Lovecraft, a follower of R. Howard, a Star Wars aficionado and an Ursula Le Guin enthusiast. My other favourite things include Middle Eastern dance (sometimes somewhat discourteously referred to as “belly” dancing), Yoga, sunsets over the dreaming spires of Oxford and plush owls. Oh, and green tea too. Previous “Game of Thrones” Should Win a BAFTA!